...a submerged pothole ate my front tire and wheel. Sorry to hear that!! Did the car itself take any damage? No damage to the car and no tire hazard insurance. This may be only the second tire in over 2,000,000 miles of driving I've ever had damaged by a road hazard, so I'm way ahead by self-insuring. 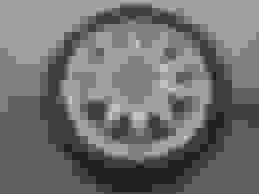 That "donut" spare tire for my car is pretty bizarre looking, I wonder if it is only thus for the 6MT models (and later Type-S models), or if all TLs have this thing. Yup.. super weird last time i saw it as well..
Yup, that's it, and thanks for correcting the title, I tried and couldn't figure out how to do it. How'd you know it was me..
Is the wheel completely toast? Brutus Auto Repair & Service in Manchester has an in-house wheel repair shop that I've had pretty good luck with. Bought one in a couple weeks ago and he had it done the next day for $110. Last edited by Iggy; 02-06-2019 at 04:27 AM. All TL spare tire is like that, wait until you see the RL spare tire lmao, it 10x worst than the TL. Not sure if its repairable, it was pretty dark last night when I took it off. I'll roll it into the barn today, pump it up, and spray soapy water all over to find out if the rim has cracked. I did find a few E-Bay vendors selling reconditioned OEM wheels for $135-$140. None of the new aftermarket replica wheels will clear my Brembo brakes. My brother TOTALED my month-old TLS!